… You can’t just walk into a paint store and buy the Golden Gate Bridge color. You may find something called “international orange,” but it’s not this international orange. This is a special mixture formulated just for the Golden Gate. 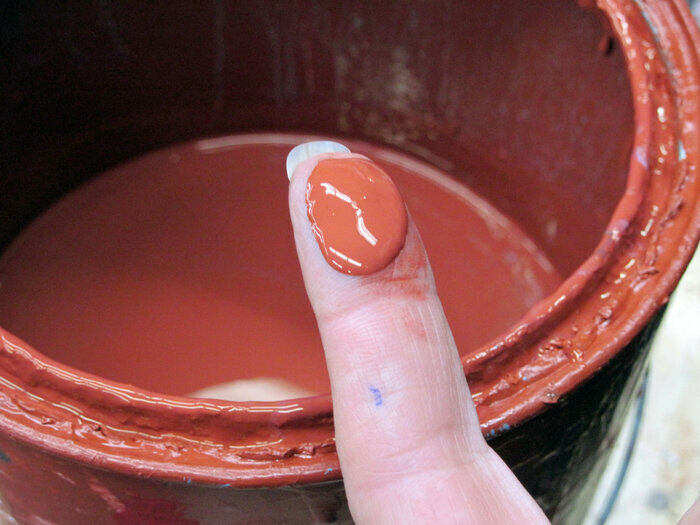 A bit of “international orange” paint on Susan Stamberg’s fingertip. Dellarocca spent a good deal of time mailing chip samples to anyone who asked. Now you can find the exact paint mixture on the Golden Gate Bridge, Highway and Transportation District’s website.